Paddle where the Daintree Rainforest meets the reef. 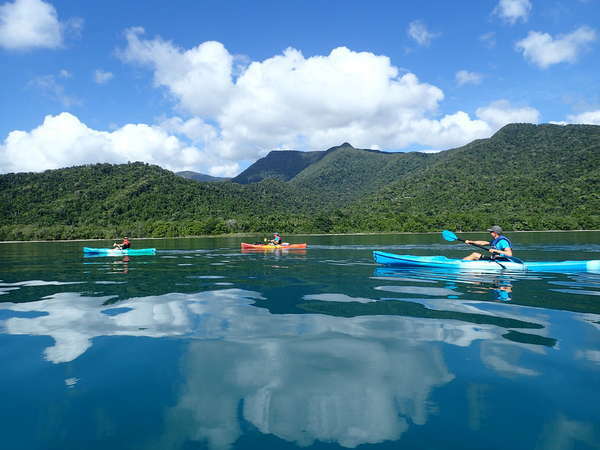 Paddletrek offers half day guided sea kayaking tours from Cape Tribulation. Explore tropical beaches and mangroves. Glide over fringing reefs and enjoy amazing views of the Daintree coast’s rainforest covered mountains. Departs at 8.30 am for a 3.5 hour adventure. Board one of our sturdy single or double, sit-on-top kayaks in Cape Tribulation Bay and explore the unique environment where the rainforest meets the reef. Your experienced local guide will lead you around the magnificent Cape Trib headland while looking out for marine wildlife. You will land on Myall Beach for a rest, relax and morning tea of tropical fruit juice and homemade cake. On the way back to Cape Trib beach we explore the fringing reefs, taking in the stunning views of the rainforest covered, coastal mountain ranges. Please note itineraries may change as we take into account all weather conditions, tides and guests experience levels to maximise everyone’s enjoyment. Departs at 2.30 pm for a 2.5 hour exploration of Cape Tribulation Bay. Escape the heat of the day and paddle Cape Tribulation bay in the afternoon. 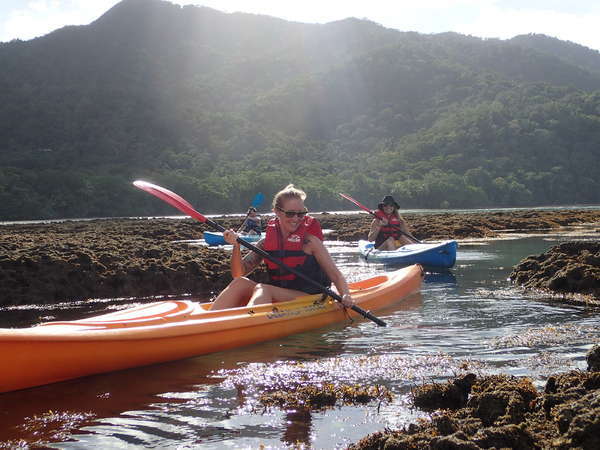 Explore fringing reefs, spot marine wild life and enjoy the stunning views of the Daintree Rainforest. Please note itineraries may change as we take into account all weather conditions, tides and guests experience levels to maximise eveyone's enjoyment. 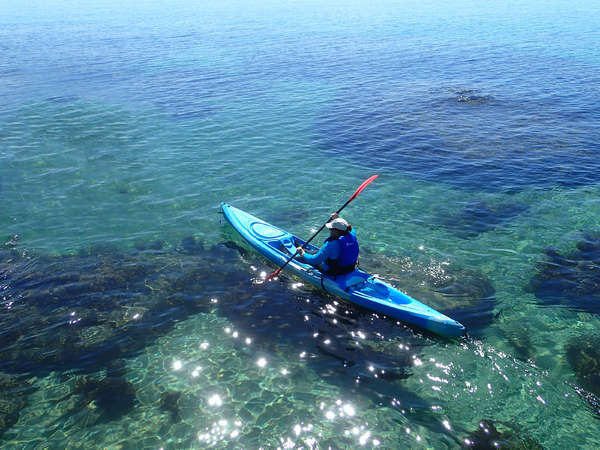 Our half day guided sea kayak tours depart from the Cape Trib Beach House at the Northern end of Cape Tribulation Beach. availability and made at the discretion of the operator. Environmental Management Charge (EMC), refreshments, all equipment and safety gear (i.e. kayaks, paddles, life jackets, stinger suits, dry bag), courtesy transfers from accommodation in Cape Tribulation. All persons must sign a waiver release (parent/guardian signs for under 18s).